Despite the fact that Dell abandoned its efforts to create a popular tablet computer after scrapping its line of Streak tablet devices last year, the company is apparently ready to go once more into the breach to take on the Goliath that is Apple, which currently control nearly 90 percent of the tablet market with its line of iPad devices. Dell has been just one of many companies that has unsuccessfully attempted to pry away some of the market share that Apple has obtained since introducing its original iPad early last year. Research in Motion, which has seen its line of BlackBerry mobile phones decline in popularity in favor of the iPhone, failed to entice many consumers with its BlackBerry Playbook. Meanwhile Hewlett Packard had perhaps the most spectacular failure when it abandoned its own tablet, the HP Touchpad, just months after its introduction, forcing the company to unload its remaining inventory at a deep discount. Despite these well-known failures, Dell has decided that the tablet market has become too important to abandon. 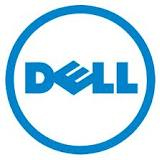 However, it is not known at this point how Dell will proceed with its new initiative in a way that can be profitable for the company, especially considering the fact that Dell will be facing new competition from a formidable company, Amazon. Although Amazon has long had a line of dedicated e-readers, they had never developed a tablet device like the iPad. However this changed late last year when Jeff Bezos, Amazon’s CEO, announced the introduction of the fully-featured Kindle Fire, the first device created by Amazon that was designed specifically to compete with Apple. Like Apple with its strong ecosystem of apps, Amazon has carefully constructed a full catalog of digital content, including books, music and movies, that is optimized for its devices. As such, customers who purchase an Amazon device have immediate access to that vast inventory of content. Due to this large ecosystem of products, the Kindle Fire has become a popular product among consumers looking for a low-end tablet device; at $199, it is $300 less than the cheapest iPad 2. At this point, it is not clear where Dell fits into this picture. Although executives at Dell have claimed that they want to put more resources into a thriving ecosystem for their new line of tablet devices, it is doubtful that they could rival the platforms that have already been built by Apple and Amazon. Furthermore it is hard to imagine that Dell could put out a cheaper device than Amazon given that it is already believed that Amazon is selling its Kindle Fire at a small loss in order to get consumers in the door of their ecosystem. If Dell does decide to go through with a second act on their line of tablets, they will have quite the mountain to climb. Dell does not seem to have any advantage in the tablet industry; it does not have the pricing power of Apple, and it won’t be able to undercut Amazon. In addition, if Dell does adopt either Android or Windows 8 for its operating system, its new tablet device may lack any unique characteristics. When combined with a subpar ecosystem of apps and content, Dell’s new line of tablet devices may very well meet the same fate as their predecessors. Mit großer Freude habe ich Euren Artikel gelesen und war echt begeistert. Vielen Dank für die Zukunft alles Gute! Technology now a days as fast upgrading. Buy new one today, tomorrow an upgrade will be released. Competition really works but still it should be affordable to the users. Apple still dominates the tablet market at this time but not as high as 90% due to the onslaught of Android slates hitting the market. The latest data I read that the tablet market leader gained not more than 60% late last year. 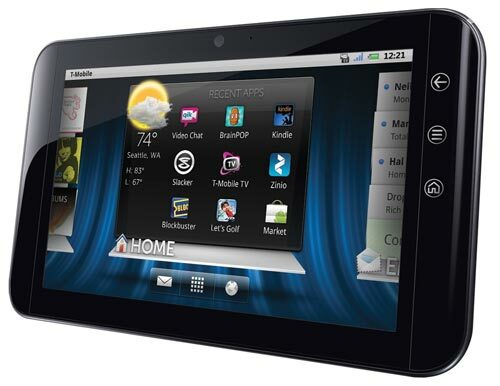 During the Holiday season, the Kindle Fire was reported that it even outsold the Apple iPad.. If dell can create something more affordable at around $199 with content and feature-rich, it stands a chance in the midst of crowded market.. The competition is quite tough already. I don't think it's wise for Dell to venture here. That's just my opinion though and I don't claim to be an expert. I just hope they have something unique to offer so that their product will have a chance to "climb the mountain". Good brief article covering all the aspects of starting a Dell tablet. Good work nice article.